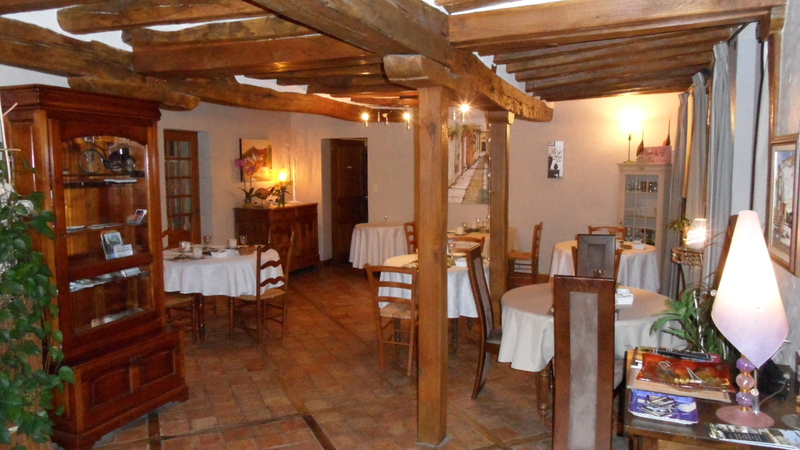 Marie-Lyne and Thierry, who speak almost fluent English, welcome you in the four cosy rooms. The largest, the grand suite, has two separate bedrooms and can accommodate up to five people. Three bedrooms have valley views and they all have their own bathrooms. 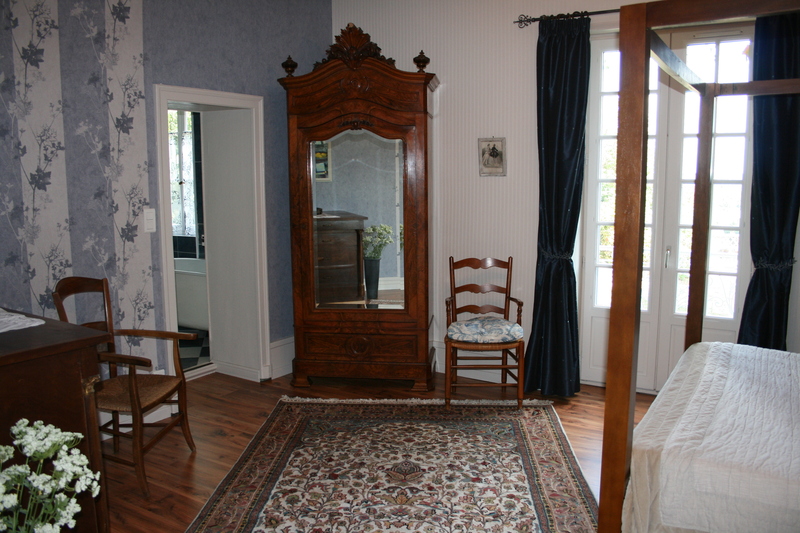 Comfortable design, this bed and breakfast (« Chambre d’hôtes ») is ideally positioned to explore nearby Angers and the chateaux of the Loire Valley. A short drive to the pretty and historical villages of Saumur, Fontevraud l’Abbaye and the large Textile town of Cholet. Lot of site seeings are available to you. For a truly unique event, for adults and children, ‘Le Puy du Fou‘ is only 1 hour by car. Watch a re-enactment of a ‘gladiator fight’ and experience Europe’s most amazing shows. 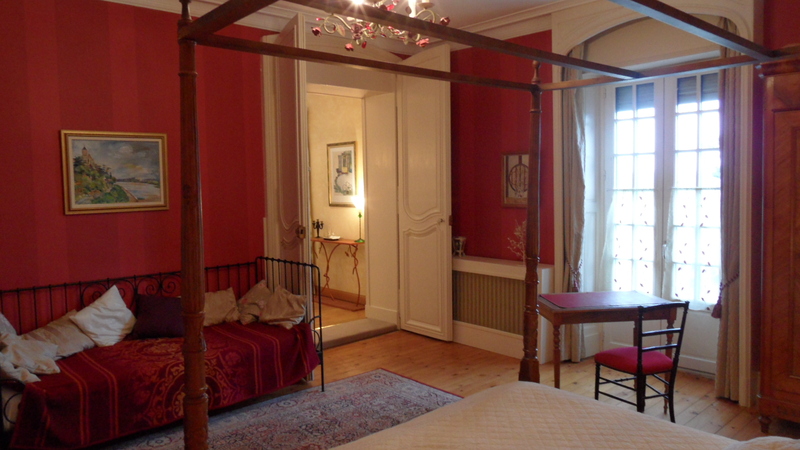 Our bedrooms are located in the manor, an ancien convent built in the end of the 15th century. 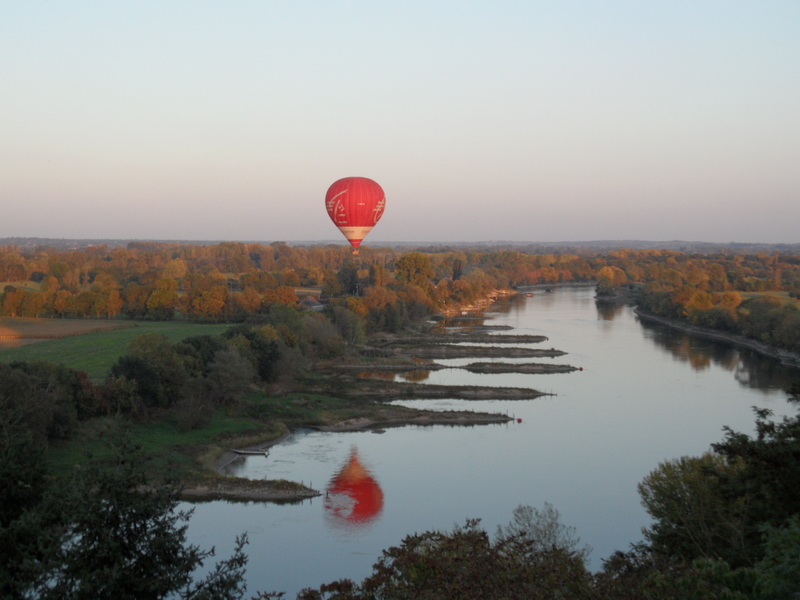 It overlooks the Loire valley and offers one of the most beautiful panoramic and breathtaking view in the region. Take some time to envoy a glass of sweet wine from the surrounding vineyards, called « Coteau de la Loire », while enjoying the view. 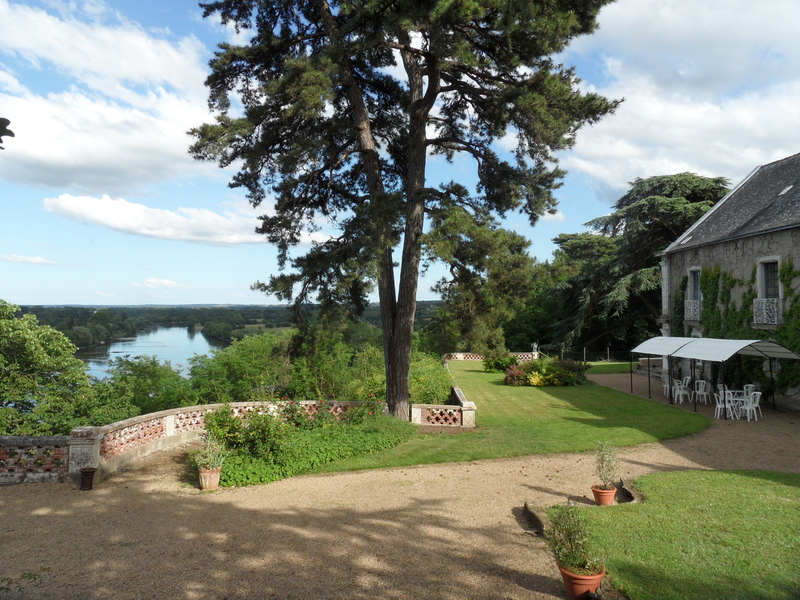 Three of our bedrooms overlook the Loire valley. 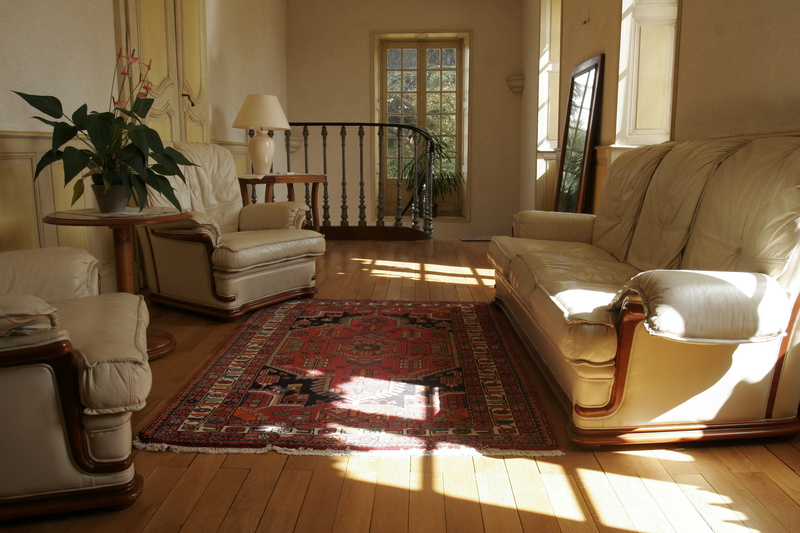 Our grand suite called « Vallée de la Loire » (no wonder why!) is composed of two large bedrooms and a living room. It is situated at the end of the house and offers an absolutely magnificient view over the river and sun rises of all types of color, blue, orange, pink or white can be absolutely gorgeous. Our bed and breakfast is open all year round. We offer two double bedrooms and two family suites for up to five persons, nicely decorated. Some have a tv set, some don’t. 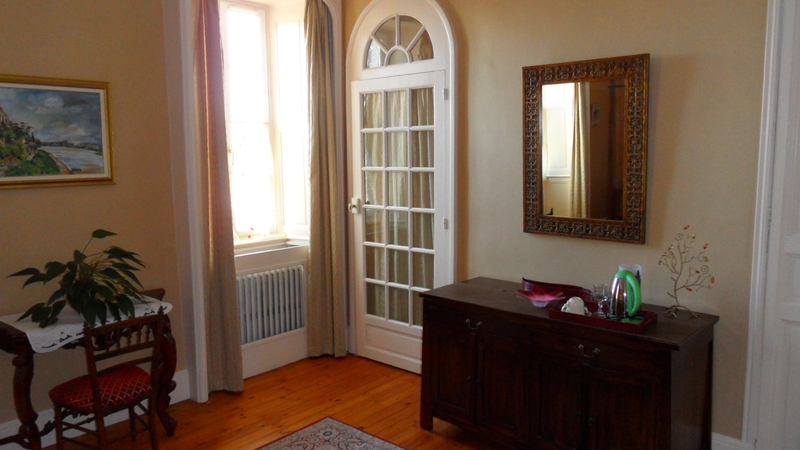 All have a private bathroom as well as free wifi access, a boiler and tea or coffee. We serve breakfast in our cosy room where one can also look at a small painting gallery from Marie-Lyne herself. Weather permitting, breakfast can also be taken on the panoramic terrace watching sun rise.